Helpouts by Google (Arduino, Raspberry Pi and electronics) « Adafruit Industries – Makers, hackers, artists, designers and engineers! 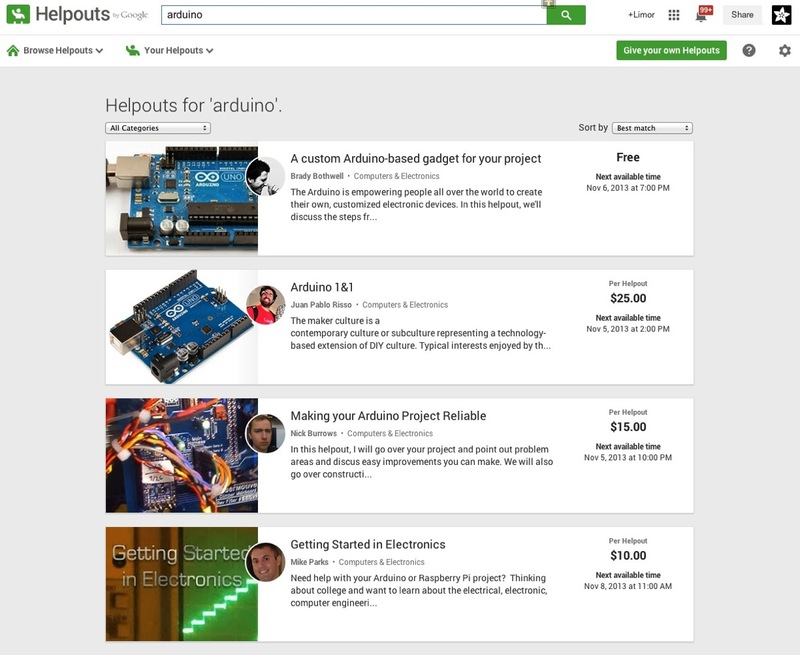 Helpouts by Google was launching today, if you search for Arduino, Raspberry Pi or electronics there are many people that have free (and fee) helpouts! Helpouts is a new way to connect people who need help with people who can give help, over live video, anytime, anywhere.